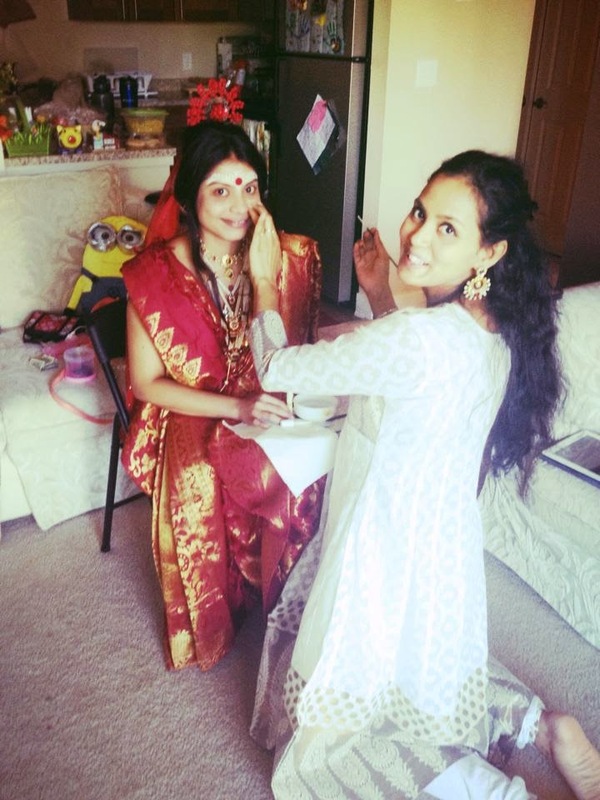 Home / Fashion / The Bengali Bride ! Dressing up like a bride is every girl's dream. I remember my wedding day and was nervous and tensed to look perfect. Somehow I wasn't satisfied. I have asked my hubby to get married again after 10 yrs so that I can have the best look :) Call me crazy . Yes dressing up is my favorite pastime. Shringar sindhoor jewelry bangles .....even the thought makes me happy and freshens my mood :) Born and brought in Bangalore and my native is Mangalore, I always wanted to try the different bridal looks . 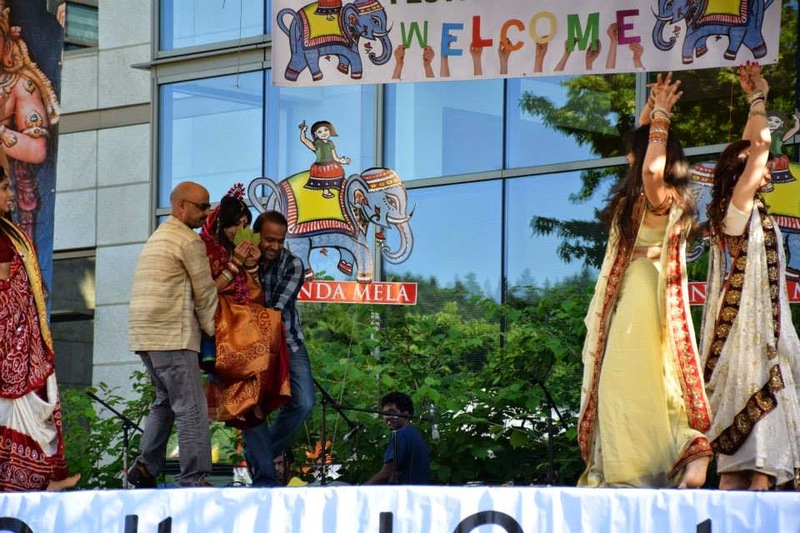 During school days I was chosen as an Andhra bride for a fashion show . 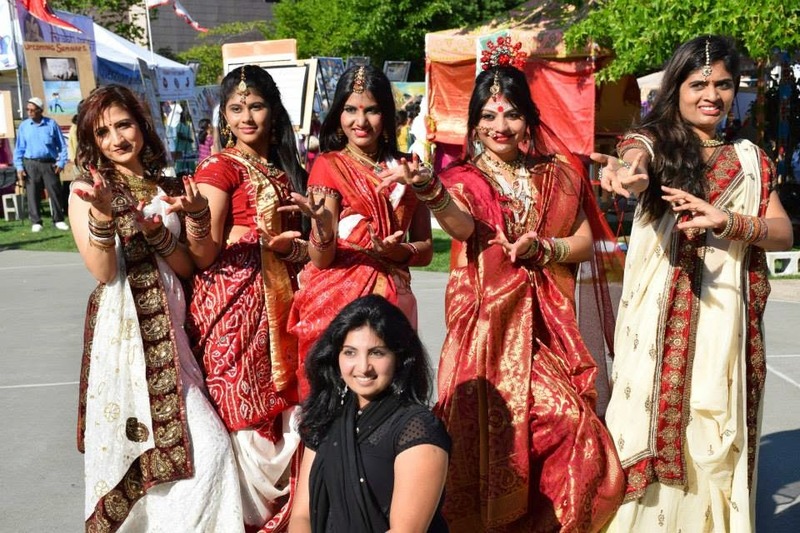 I asked few of my friends to be my bridesmaids and they were more than happy to do so .As a choreographer ,I had to depict a dance drama that showed bengali culture in 3 minutes. The dance style is Nautwary. 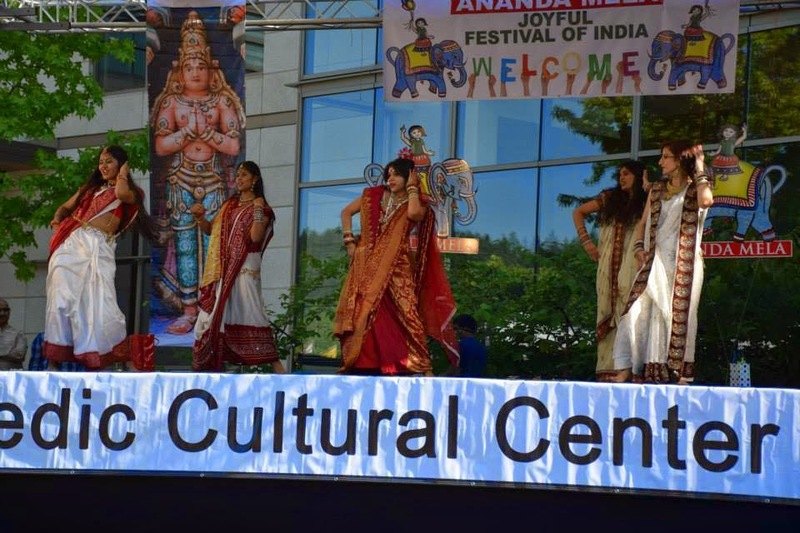 It included steps of Kathak and Bharatnatyam. Saroj Khan is the choreographer and her dance steps are amazing in the dola re song .We had a time crunch and we needed to get the whole act ready in a week with 5 of us as a team. We practiced almost everyday of the week .I was excited to show the dance moves and my team picked it well. The whole essence of our dance is giving the best expression. Dance is my passion and I believe dancing connects you with your inner self .It lifts ur spirits and gives the best of any person . Dancing as a team helps you to overcome your weakness and strengths you up as a team player and we worked together to make a great dance show. I was more than happy and pleased with my bridesmaids who were always patient and trusted me with everything .I am very proud to introduce them in this blog ..
Neelu Rajavanshi, Simran Kota ,Monisha Mursheed and Kranthi Chintha.Sanjida Yasmin and Priyanak Kota played a good critic and helped us improve our positioning and synchronization. 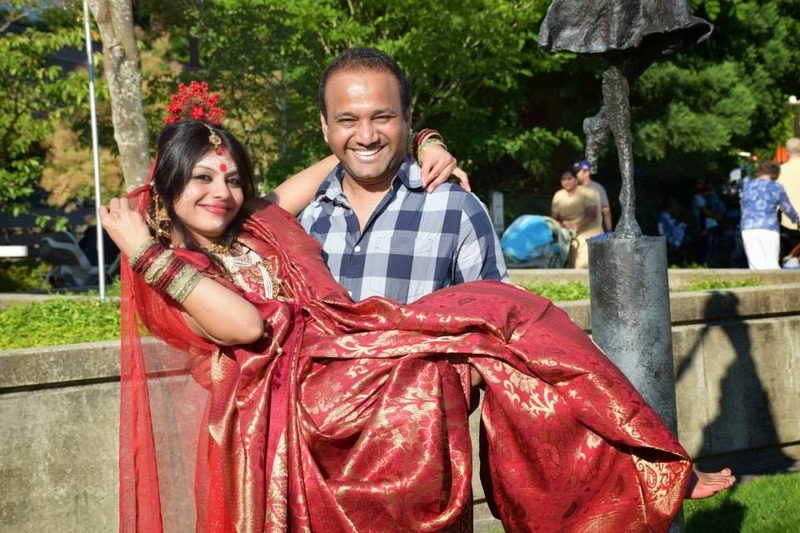 We incorporated a lot of props like gifts ,designer trays,etc .We showed different ceremonies like mehendi, dressing up the Bride ,carrying the bride with pan patha and gift ceremony . The biggest challenge was to get the mukut(Head Gear) and jewelry which was close to bengali style . Menka Soni introduced me to Piyali De who was more than happy to help me with the jewelry and the mukut . On the day of the show ,Piyali came to my house to help me with the bindi and eyebrow design. She reminded me of my Sister who always makes me look good with her skills. 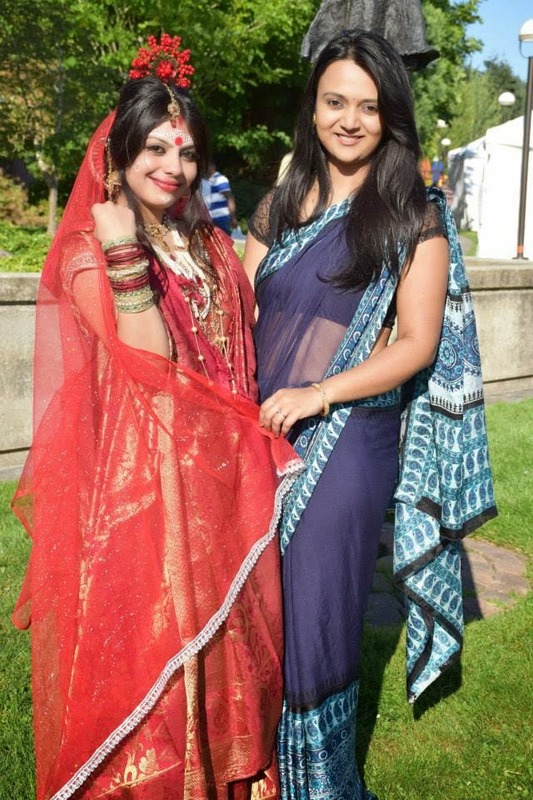 I was so happy to wear my wedding saree and dress up again like a bride . 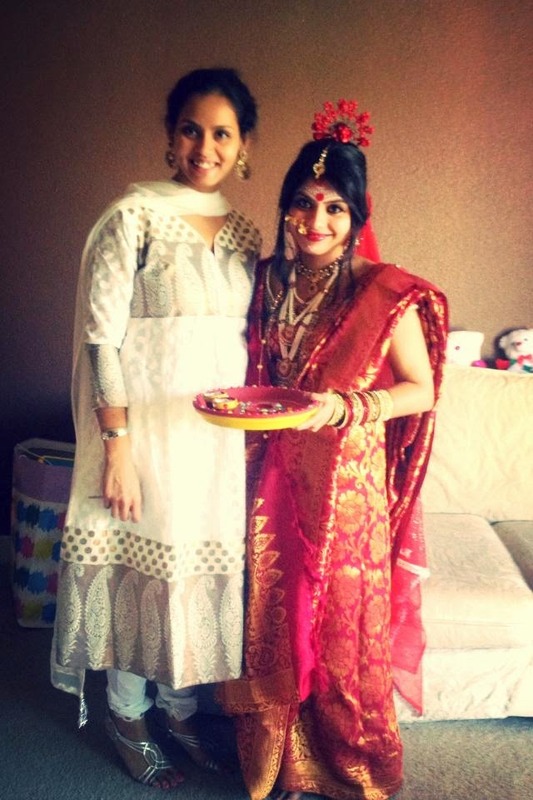 My bridesmaid dressed up in a white saree with maroon border and were looking very beautiful . As a team we gave our best and danced to the dola re song. It was executed well and the audience did like our performance . "Nobody cares if you can't dance well. Just get up and dance. Great dancers are great because of their passion.There is a vitality, a life force, an energy, a quickening that is translated through you into action, and because there is only one of you in all time, this expression is unique. And if you block it, it will never exist through any other medium and will be lost"
- By Nalini Keshava ! Ok, This one is my forte, I hate dressing up. Yes but I am a Bengali and being married to a Bengali too. I loved to dress that day as a bride. With the "Shankha Pola Bangles I couldn't Help but continously stare at my hand. Great Post, Awesome clicks. Usually I don't do this but sharing a link not to promote but sharing it to a lovely woman whom I have come to know through blogging. Awww Thanks from Nalini ! How abt u do a guest post?? Wow! 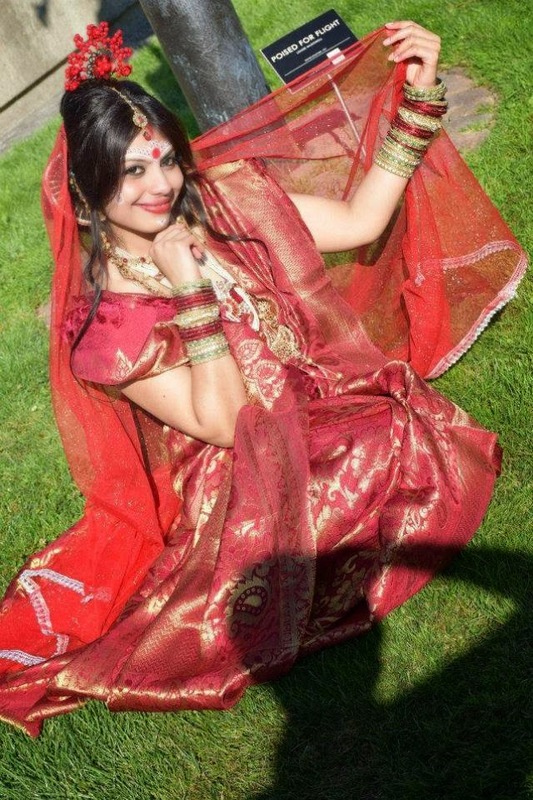 I am this proverbial Bong and I can say that the typical Bengali bride look never goes out of fashion. 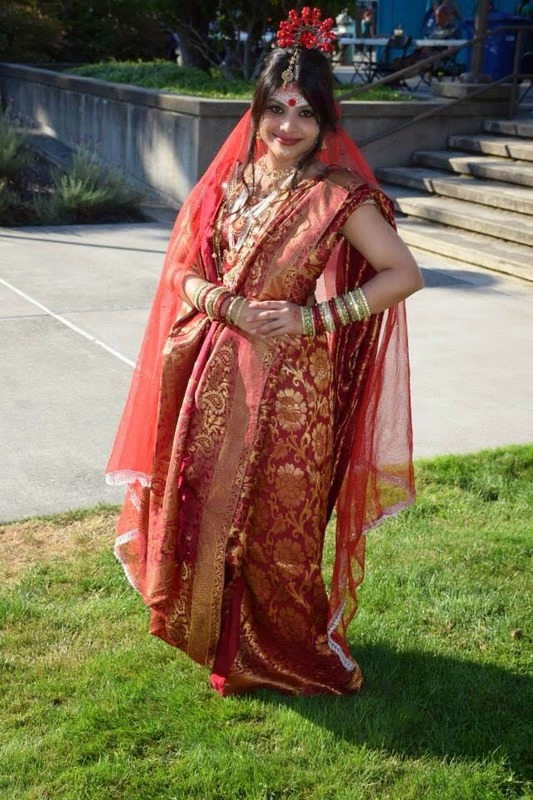 For my wedding, I chose to dress up as the typical Bengali bride. Great post! 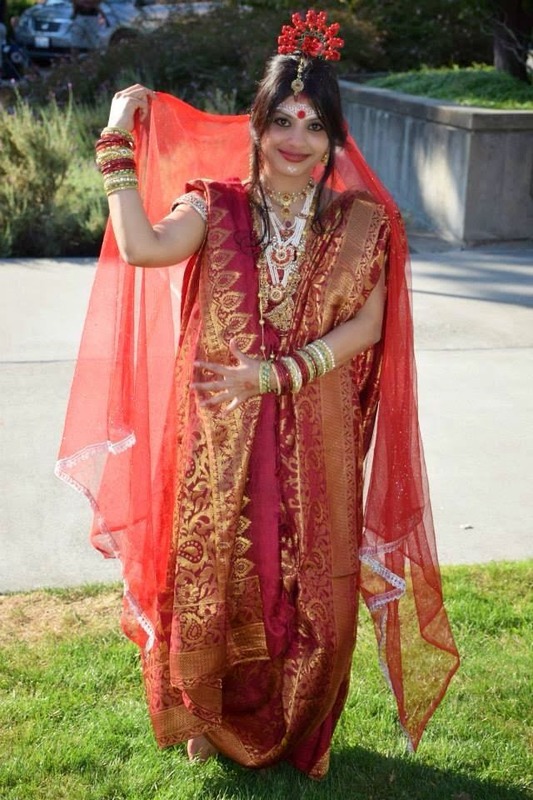 Nalini sure looks beautiful in that Bengali bride attire. i adore the indish Fashion so much! btw. here in Germany we don't really get in touch with indish Blogger, can you Name me your favorite Indian Fashion Blogger? However, this topic of yours is out of my blog niche but I found it interesting to read stories on different topics. Thanks for sharing such a unique concept with all online communities.